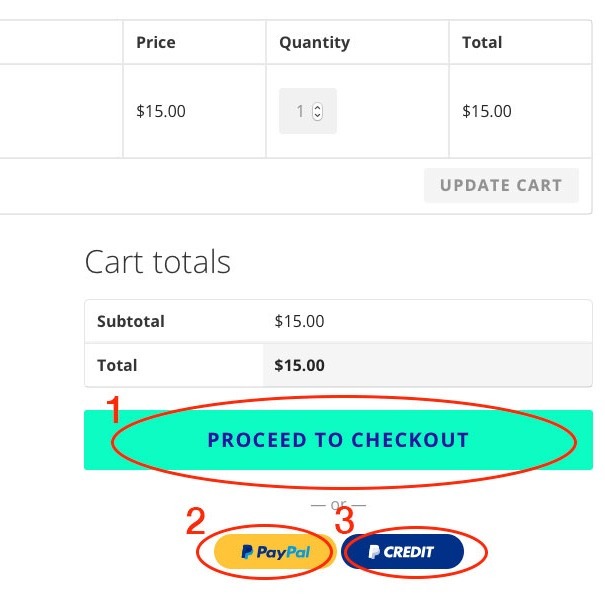 When you view your shopping cart, you have the choice of paying via 3 different options. Option 1 will allow you to use your credit card inside the PayPal merchant module. You are not required to join PayPal. Option 2 If you have a PayPal account and would like to use the payment methods in which you have established in PayPal, choose this option. 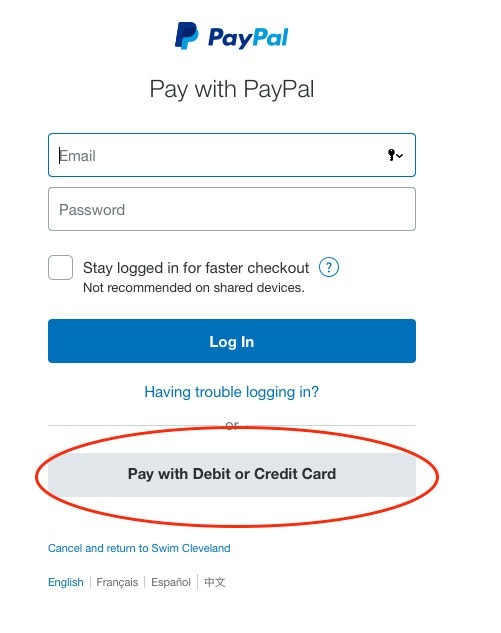 Option 3 allows you to establish a credit with PayPal where you can pay monthly on your payment to Swim Cleveland. All costs and terms associated with this option are the sole responsibility of PayPal. 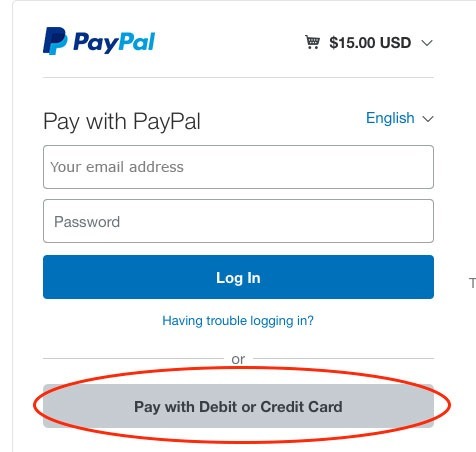 Once you have clicked Option 1 from above, you will be presented with this screen where you can use your PayPal login credentials or pay with a credit card. Depending on what browser you are using, some of you may see this screen after choosing Option 1 from your shopping cart. 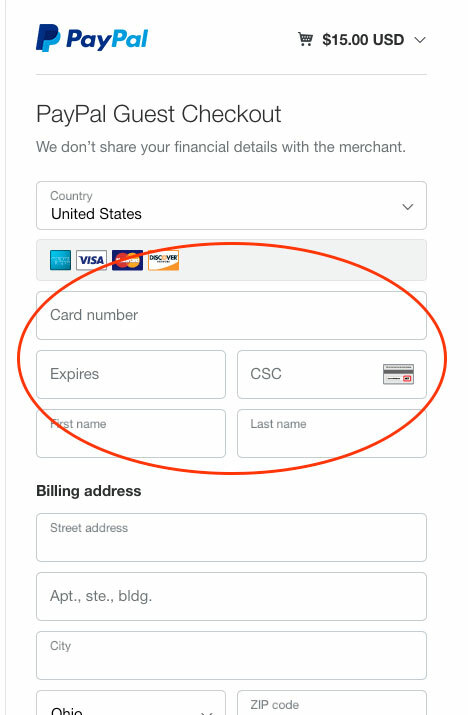 If you choose to pay with a credit card, be sure to click the appropriate box. 3. Now enter your credit card information. After making your selection to pay with a credit card, use this screen to enter the credit card information as well as your billing address.